Click on the Buy Now button for the Fully HD. Formatted document formatted for High Quality Print or Digital Output for your reference library. Collect all the Articles and Series to compile a “Custom” and “Ultimate” Preparedness Resource. One such herb is Echinacea, the Latin name being Echinacea angustifolia. There are various species of this herb and most of them are used as medicines. This herb is native to the United States. Roots are the most used to treat chronic infections, throat infection, skin diseases and to boost immunity. Many home remedies are possible using these parts. Echinacea is used in fighting infections such as flu, respiratory infections and common cold. Urinary tract infections and vaginal yeast infections are also treated using this medicinal plant. Echinacea is also used against Typhoid, fever, tonsillitis, warts and ear infections. Anxiety, low White Blood Count, migraine, indigestion, dizziness and pain are also treated with this herb. It is applied on the skin to treat boils, wounds, gum disease, burns, mosquito bites, bee stings, ulcers and acne. It is a perennial plant and grow up to 20 inches. The stem is stout and hairy and is 2 to 3 ft in height. The plant has linear leaves that are rough and hairy. They have large flowers, usually purple or pink in color. Essential oils of this herb helps in preventing /treating bacterial and viral infections. The medicines of this herb are taken internally as well as external, topically. Other Uses: use alcohol based tincture on infected tooth to kill infection and or for tooth pain relief. Also known as the cone flower and widely used by native Americans, Echinacea is the herbal equivalent to vitamin C. Furthermore, it is the phytochemicals that help improve the immune system. Echinacea root is also a powerful blood cleanser specifically for blood poisoning. Echinacea in combination with Myrrh is a good remedy for cleansing morbid matter from the stomach, expel poisons, toxins, pus, and or abscess formations also this herbal combination is good for typhoid and other fevers. in severe cases use 10-20 drops of this tincture every 2 hrs. in 6 ounces of warm filtered water. Dosing:(Adults) 500 mg. capsule twice daily, tea three times daily, tincture one eyedropper full in a non caffeinated tea with no milk or sugar, you can also add 1 eyedropper of tincture to a 6 ounce glass of warm filtered water. liquid root extract 1/4 teaspoon 3 times daily. Precautions: If you are pregnant, breast-feeding or have an autoimmune disorder do not use this herb. Always remember to go slow let an a little goes a long way you must also let your body acclimate to the herb and the change in your system. Add herb to a tea ball and then place in cup of boiling water let steep for 10 minutes. Add no Sugar or milk. If you must sweeten it use pure raw wildflower honey. Let sit for 6 weeks minimum. Make sure there is at least 1-2 parts alcohol over the herb at all times. Shake jar everyday for 2 weeks. Note: Sometimes herbal tinctures go cloudy but then eventually clear up if it doesn’t clear up there is a good chance the herb(s) went bad. Then Dump out entire batch and wash out jar with Very hot water and soap leaving no soap residue in jar or lid. Then begin a new batch. Note#2 Visit The Most Amazing and Realistic Prepper and Survival Resources for Any level Prepper/ Survivalist (New or Veteran) and watch the video we JUST launched on the page detailing them all. 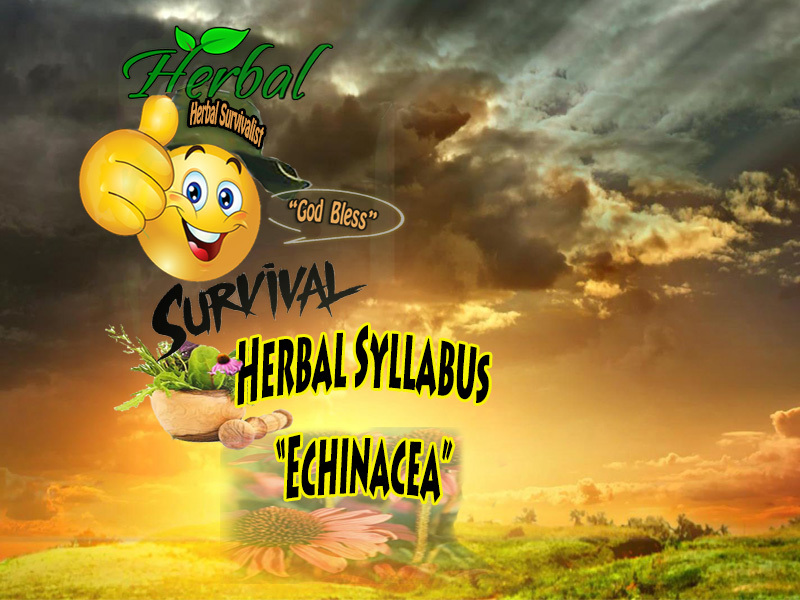 Herbal Survival Hottest Prepper and Survivalist Resources out!
" The Power of BEE POLLEN"